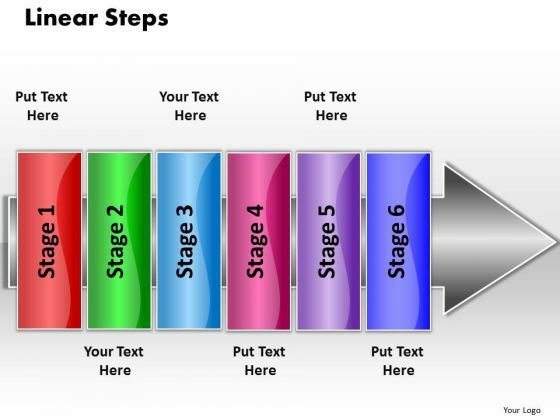 PPT linear flow 6 steps PowerPoint Templates-Use this graphical approach to illustrate Pointing Arrow containing stages .This image signifies the concept of different stages of a process. This image has been conceived to enable you to emphatically communicate your ideas in Your thoughts will strike the right chords. Pluck the strings with our Ppt Linear Flow 6 Stepts PowerPoint Templates. Create delighted customers with our Ppt Linear Flow 6 Stepts PowerPoint Templates. Educate them on the advantages you deliver.